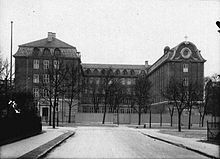 The raid had destroyed the Gestapo headquarters and records, severely disrupting Gestapo operations in Denmark, as well as allowing the escape of 18 prisoners. 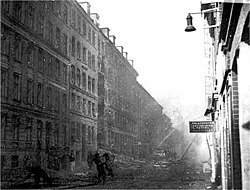 Fifty-five German soldiers, 47 Danish employees of the Gestapo and eight prisoners died in the headquarters building. Four Mosquito bombers and two Mustang fighters were lost and nine airmen died on the Allied side. At the Jeanne d'Arc School, 86 schoolchildren and 18 adults were killed, many of them nuns. This page was last edited on 19 March 2019, at 17:26 (UTC).